Vaping is thought of as being a safer alternative to smoking a pack of cigarettes. Those who choose to vape often do it in order to wean off of the nicotine found in cigarettes. People can choose to have a little nicotine inside what they vape or have no nicotine at all. JUUL Pods hit the market in 2015 and have grown in popularity ever since. JUUL is an electronic cigarette that looks similar to a USB and features liquid nicotine pods with different flavors like mango and crème brulée. The battery is contained in the body of the device; when a user vapes, temperature regulators and sensors are used to detect battery level. There are other devices used in order to vape. The electronic cigarette, or e-cigarette, is a handheld electronic device that simulates the feeling of tobacco smoking. It works by heating a liquid to generate an aerosol, commonly called a “vapor,” that the user inhales. The use of e-cigarettes is sometimes called vaping. E-liquid, the liquid in the e-cigarette, is usually made of nicotine and flavorings. The modern e-cigarette was invented by a Chinese pharmacist Hon Lik in 2003. As of today, most e-cigarettes are made in China, but you can learn more about e cig manufacturers at VapingDaily. They were first sold globally in 2004 and have increased in popularity in the United States and the United Kingdom. Following the rise in popularity of JUUL pods and e-cigarettes over the years, college students are now turning to the fad for their nicotine fix instead of cigarettes. 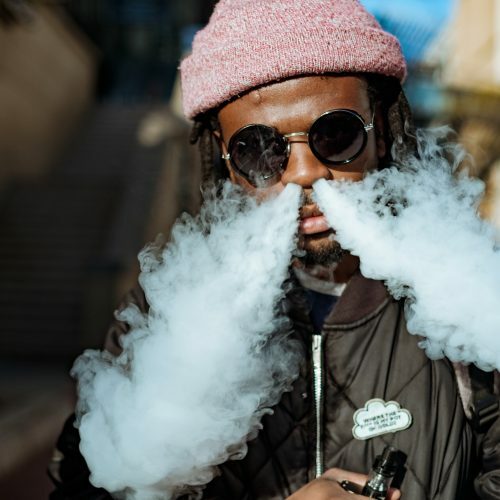 The act of vaping on college campuses has come to be considered a trend of the modern world and has since become a very popular social phenomena. Facebook has many groups available specifically for vapors, many of which are used to help vapers connect from anywhere around the world, where they can then discuss different forms and options of vaping. Some of them debate the differences between and vaping and smoking regular cigarettes, whereas other groups have been formed in order to present a united front against those who wish to ban the new trend altogether. There are even a few groups run by scientists who are experts in THR and promote the use of vaping. The rise of popularity of the fad may also stem from the fact that many celebrities have been seen with vaporizers. Celebrities like Leonardo Dicaprio, Katy Perry and Tom Hardy have all been known to vape. American mass-media more frequently publishes photos of actors and other famous people with vaporizers in their hands on different sites, and by doing so, disproportionately reflects their popularity. As a result, college students who value the trends that celebrities take part in have become more inclined to try vaping, leading to a rapid growth in its popularity. Vaping is also used in modern music videos or commercials where the smoke from the vaporizers is used as steam for special effects. 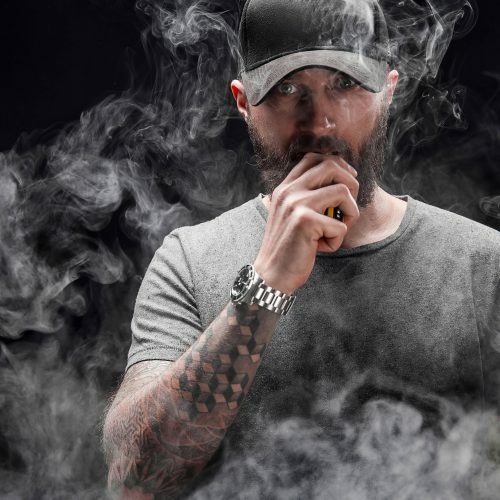 Though vaping today has become a very developed industry, there are still questions about what the advantages and disadvantages are of vaping. Still, the activity is becoming more and more popular among college students and has turned almost into a new hobby among the youth. According to the statistics for college student smoking, Cloud Chasers are one of the biggest trends within vaping communities. 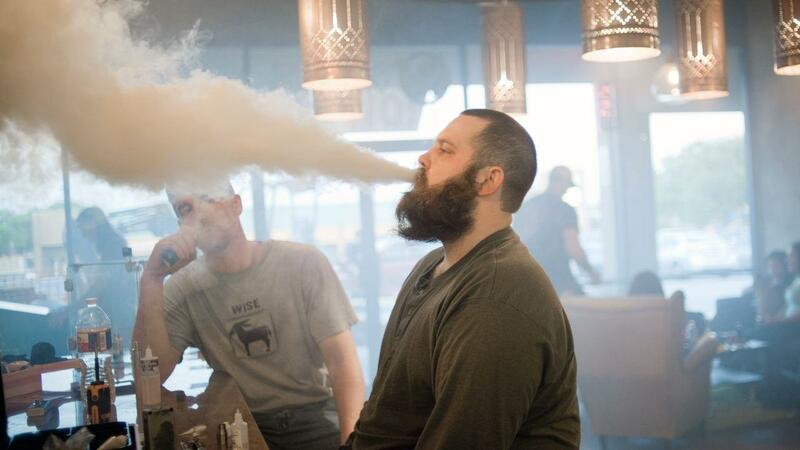 Cloud Chasers are vapors who strive to get large and fluffy clouds of steam around their heads when vaping. People can become attracted to the big amounts of steam that these vapers produce, which can cause them to want to vape. Another big trend among vapers is events or meetings. Meetings usually occur in bars or at vape expos, which are considered the Comic-Cons of the vaping world. Local vendors and companies often come to these events to present their products. It’s considered a big event in the world of the e-smoking industry, bringing vapors together in order to share emotions, ideas and thoughts about different subjects and issues in life. Vaping allows the elimination of nicotine and also helps stop the production of waste. There is no empty packaging, cigarette stubs or dysfunctional lighters made mostly from plastic. The only thing the pens contain is e-juice. The e-juice can contain mood enhancers that make it easier for those who smoke cigarettes to make the switch to vaping. These mood-stabilizing properties are achieved only by natural ingredients and do not have much in common with illegal substances. Many people from older generations rarely take electronic smoking seriously and often do not see it as a safe alternative to smoking cigarettes. 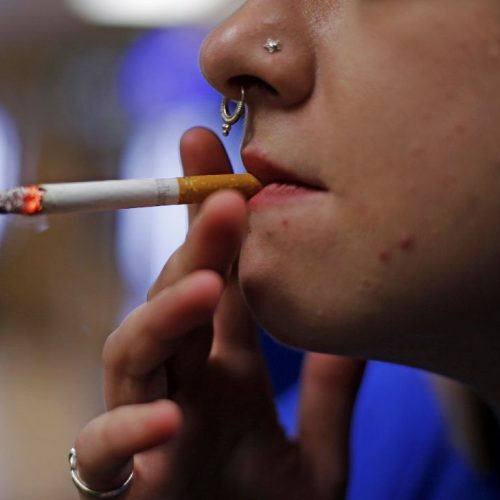 However, some college students, like Miranda Maples, a senior at the University of Tennessee, says her experience with electronic smoking has brought her a long way in her goal to stop smoking cigarettes. Still, she admits that she has some bad experiences with vaping and has experienced health-related issues. Vaping has also been known to dry out the mucous membranes and can make eyes dry. Vaping too much can also result in having migraines. People who are new to vaping have a bit of a learning curve due to the fact that it isn’t like smoking a cigarette. They often tend to overdo it on their first try. Oftentimes, vapors are unaware of how much nicotine they are getting in the vape juice. Some vape shops actually make their own juice, so it’s possible that vapors could be getting more or less than what they asked for, depending on the store they shop at. Although many vapors begin because they hope to stop smoking cigarettes and wean themselves off of nicotine, e-smoking has started to develop a different purpose than that. It has begun to become more of a social construct than anything else, and some college students begin vaping or try it out just for the fun of it, not necessarily because they hope to rid themselves of a nicotine addiction. 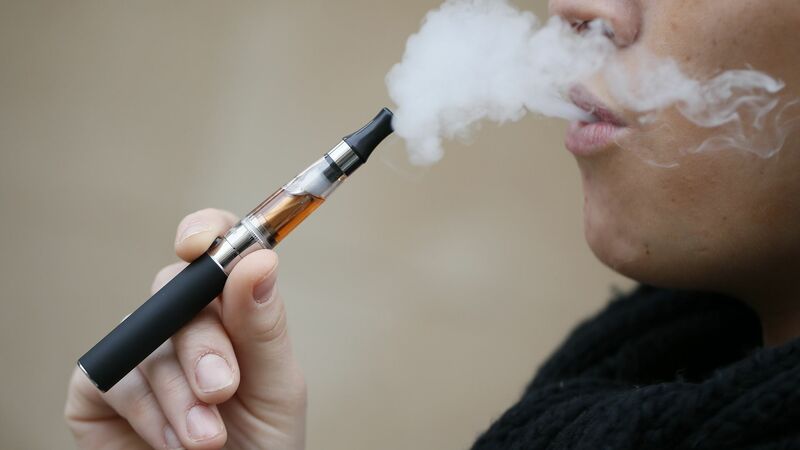 Adriana Luna, a sophomore from Northwest Vista College in San Antonio, doesn’t have much experience with JUUL pods or e-cigarettes, but says she tried vaping a few times because she had some friends who vape and let her try it out. According to the American Vaping Association, the whole focus of vaping is to ensure that adult smokers can continue to use vaping to quit smoking or substantially reduce the number of cigarettes they smoke. The majority of current vapors are not college students. According to CDC data, adults from ages 18 – 24 and 25 – 44 are approximately equally likely to have vaped in the 30 days prior. As of now, there are no known significant medical issues associated with vaping. Recently, the Nature Scientific Reports journal published the results of a prospective 3.5-year study on the health impact of vaping among those who have never smoked a cigarettes. Whereas the effects of cigarette smoking on the body can be documented after just two years, the users of vapor products showed no negative health issues. Gregory Conley, the President of the American Vaping Association, talked about how vaping will inevitably affect the tobacco industry. A study published in the journal Addictive Behaviors was written to see if vaping was actually a gateway to cigarette smoking. 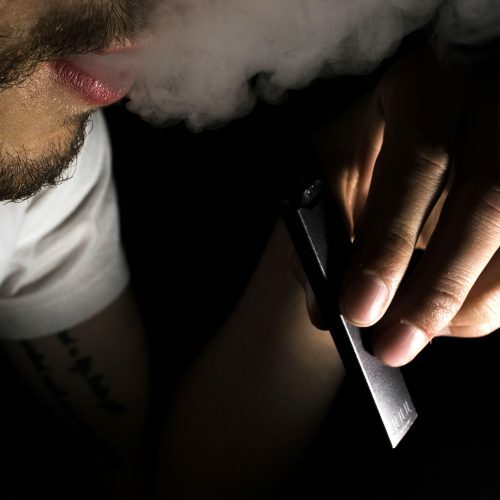 In the study, 3,757 college freshmen at Virginia Commonwealth University were followed for one year to examine whether vaping at baseline was associated with the progression from never smoking at all to current smoking after vaping. The authors report that current users of e-cigarettes at baseline were more likely to have tried smoking at least once in the year after compared to those who were not using e-cigarettes. As of now, there is no official answer as to whether the fad is really a healthier alternative to smoking. However, in the United States the rise in experimentation with vaping among college students has been accompanied by record declines in cigarette smoking.